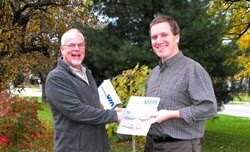 VIA's early years. Late 1970's. 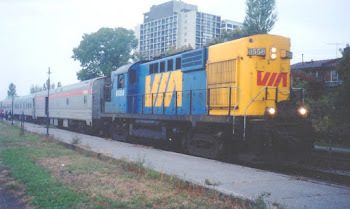 The VIA/CN era, before the CN "wet-noodle" was officially no longer part of the VIA logomark. 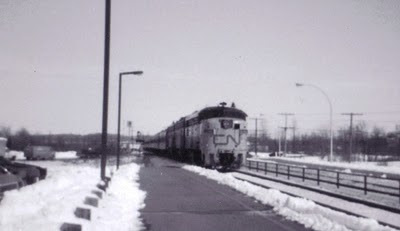 In this photo taken in March 1977, 6765 is arriving at Kingston station proudly displaying "CN" for all to see. Not for long. I'm currently working through this time period for my new book. 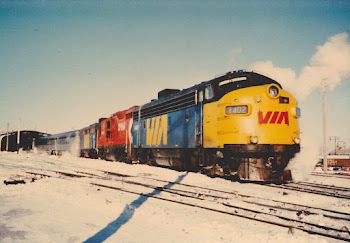 The paint shops were busy, with VIA paint appearing on more and more rolling stock. 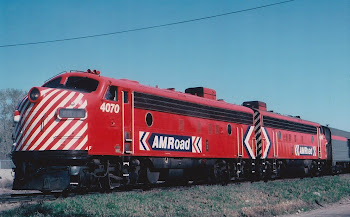 The trains were long, each with a full baggage car and a club car and heavyweight lounge cars, snack service and coaches, with the end of each train sometimes including the 5100-5300 series coaches with six-wheel trucks. By May 1977, many trains had two baggage cars. Any ideas as to why? I'd have to guess the second baggage car was for mail, with the demise of RPOs. 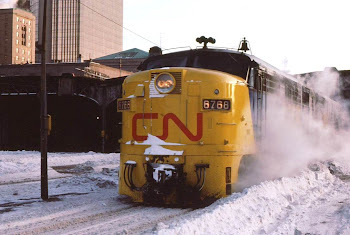 "The Canadian Railway Mail Service officially ended April 24, 1971 with the last R.P.O. 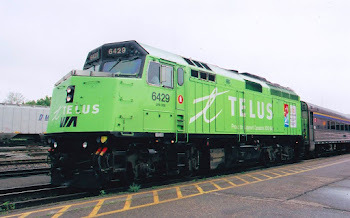 ending its run by returning from Campbellton, New Brunswick to Levis, Quebec." You could be right, Steve. 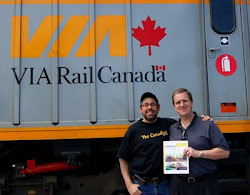 I thought that it might have been trains to Ottawa and Montreal being separated at Brockville. I've seen quite a few in my listings, so it was not a one-off.